Golf, apparel, and design, are in his blood. It's part of who he is. That's why it's no surprise that Travis Johnson, now late of Travis Mathew three years, is back once again, this time with Matte Grey. Johnson invites you to join the Matte Grey cooperative to access the brand, and its soon to come sister brand Heather Grey. Johnson recently took time out to discuss the origins of Matte Grey, highlighting his inspiration for the brand, and where he sees it taking him next. CNG: Matte Grey certainly is a unique name for an apparel company. Tell us how this came about? Well, matte is a texture that has always been more unique. It has a bit of an after-market or custom feel to it. Grey is such a good neutral and can be used in so many different ways. The two just came together the way things do when you allow it to naturally. 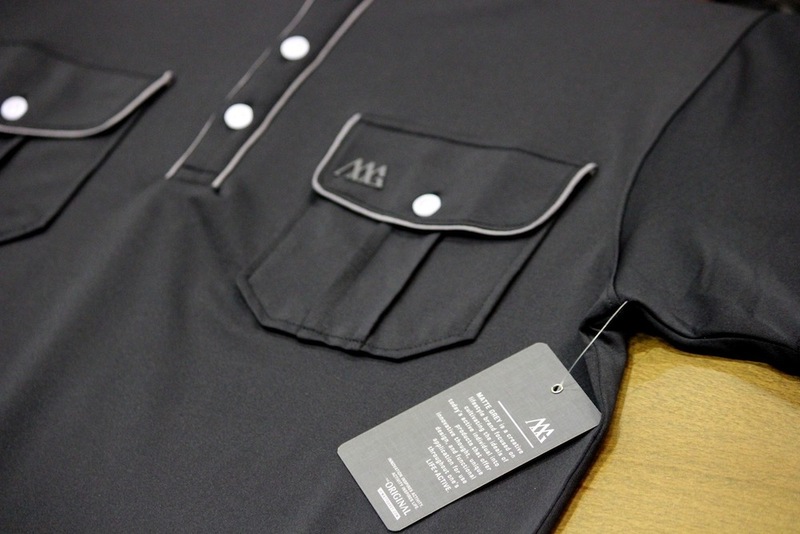 CNG: You were a founder of the very successful Travis Mathew brand as well as the design influence behind Leisure Society. Why start a third company? My longtime business / design partner, Kelli Marie Riley, and I have had this project in the mind (and on paper) for almost three years now, ever since I sold Travis Mathew. It's been fun having to constantly reinvent yourself. Without growth and development you remain old and stagnant. There's no fun in that. 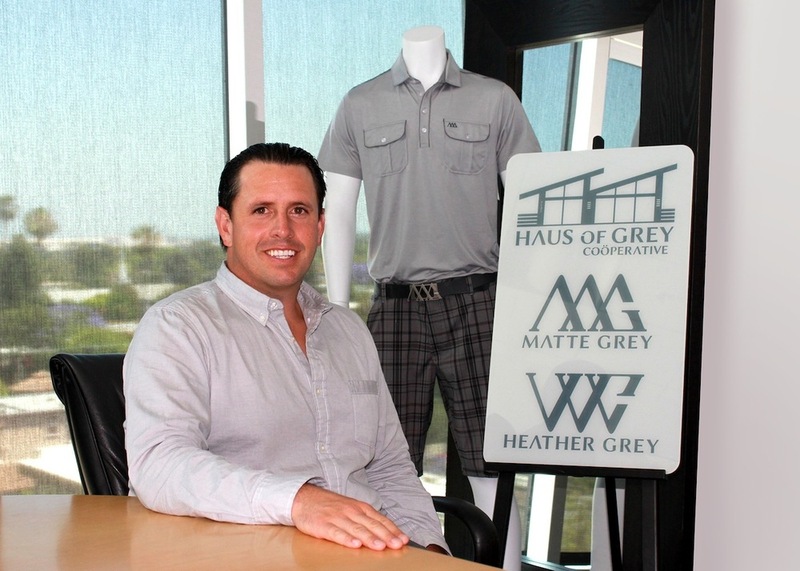 CNG: Heather Grey, the woman’s collection will launch next year. How important was it for you to develop a line for women? Our accounts, customers, and retailers have been asking for us to do women's for years now. Many friends from within the industry have tried to talk us out of doing it, but we have the perfect platform now to launch from. I also think women are looking for the "next" new thing in the marketplace, which who isn't. Discovery is fun. CNG: What is your inspiration behind Matte Grey? We've created an initiative / platform called "#LifeACTV" which essentially is the seed to both Matte & Heather. We will be designing, creating, and supplying products, events, and services that promote "LIFE" and "ACTIVITY"
CNG: People change over time. How has your design philosophy changed over the years? It's matured. It's more versatile. It's more worldly and less of one place. Its also the best quality we've offered at the best price. CNG: How has your experience as a third generation golf professional influenced your approach to designing golf apparel and accessories? Do you get out on the course much to test your products? I hope to only carry on the tradition of growing the game the way my father and grandfather have, although I do it by promoting culture through design and building community by brand. It's my way of trying to stimulate the game from a local / worldwide level. Creating the right brand allows you to do that if done with care. Now that we're out of the gates I've been able to find some time here and there to play and practice a bit more, which definitely helps while testing our products. Although the knowledge and demands of a golfer never really leaves you when you've played as long as I have, it's still nice to get out and play. On a competitive note, I've finally received my "amateur" status back and hope to find the time to start playing some events either this summer or next. Having the US Am & Walker Cup coming to town in a few years at a some of our old college tracks (LACC/Bel-Air/Riv) has definitely put competitive golf back in the mind. Haha, you know the best thing I've learned in all my years is to go with your gut instinct and to not let outsiders influence you. Don't get me wrong, focus groups are needed, but in the core seed creation phases of a brand or a collection, you need to keep that incubator tight. Kelli and I finally have that structure and boy is it nice. CNG: Tell us about the Haus of Grey Cooperative and how that came about? The Haus of Grey is our holding company, our think tank, imagine a VC but spearheaded by original design and an authentic approach. The Coöperative, or Coöp, is our network of family / friends / close supporters whom all contribute to the growth and success of our business. CNG: What is your vision for the brand over the next few years? We have lots drawn up on the vision board, but we've got to remain focused on the goal at hand and that's to plant these brands and our products within the "core" doors of sport. Once we've achieved that we can then begin the development of its remaining parts. CNG: Is there another designer or brand that you really admire? Why? I've always loved the work, vision, and passion of John Ashworth. The originality of Johan Lindeberg. These guys, like good sequels of film, music, or art constantly evolve and continue moving the needle. CNG: Your sister Ashley works with you. Working with family has its moments. Tell us about working with a family member for a start-up company. Hah, well you can add my brother Josh to that list as he works with us as well. Kelli is pretty much family after working together for so long as well as the rest of our staff, reps, and partners. All I can say is that I am unbelievably lucky to have such a talented and supportive network of people around us, which in my opinion is the most important element in building a brand. We also have a strong bench of celebrities, athletes, and the always needed "grey hairs" (successful businessmen) that I've known for quite some time, who like family, have come together to help make this project come to. CNG: Golf equipment and accessories have developed dramatically over the years. 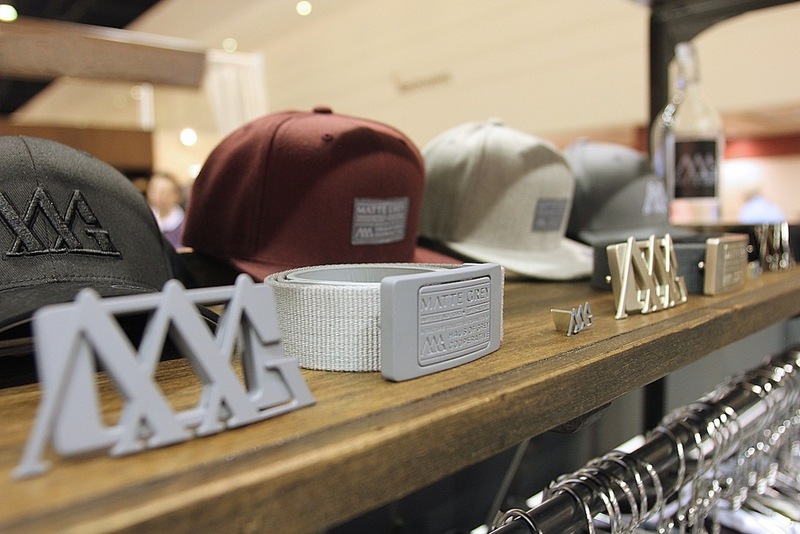 What do you see as the biggest change in apparel and where do you see the industry going? Good question! Apparel made available to the game has changed so much from its origins. The biggest change has to be this current push towards performance wear. I think everyone's focused greatly on this segment of compression under and outer wear. I still think though that the cultural aspect of the game has not been artistically executed on and or stimulated well enough through the available products in shops. This area is one that is out for the taking. 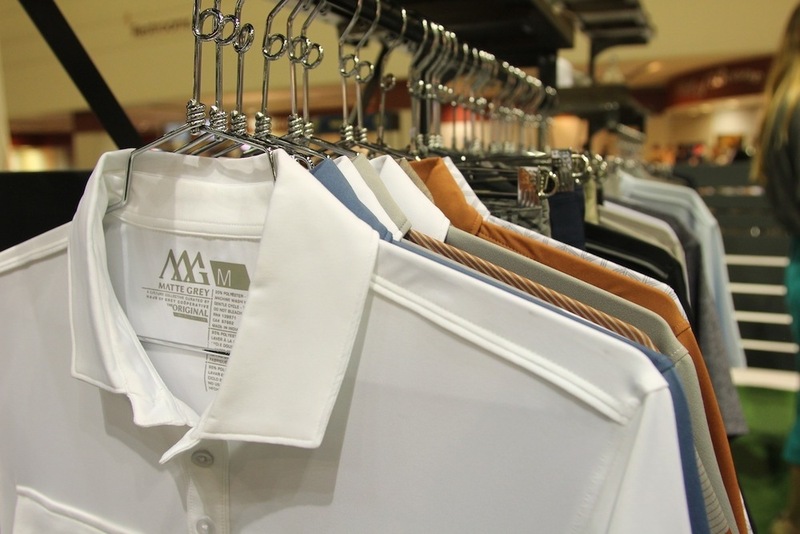 CNG: What is the one basic staple every golfer should have in their closet. To purchase online, join the Matte Grey cooperative.